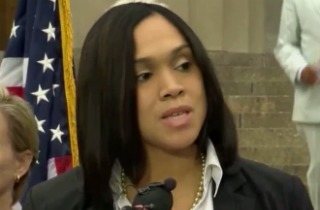 The Baltimore Sun reported that Michael Schatzow, Mosby’s top deputy, said that when Mosby drew nationwide attention for her public promise that the officers would face justice, her words were appropriate at the time because she was trying to get the city’s riots under control. The prosecution’s latest filing comes in the middle of a critical week for the Freddie Gray case. The prosecutor’s office has until Friday to turn evidence over to the officers’ joint defense team, and to respond to previous motions to have Mosby recused from the case. Mosby’s office also responded to the public leak of Gray’s autopsy, which Mosby tried to withhold as “sensitive” information. “Even in death, Mr. Gray is not being provided with the appropriate respect that all humans deserve,” wrote Deputy State’s Attorney Janice Bledsoe. The office also reportedly sent a statement on Wednesday to Greta Van Susteran, who read out loud during On The Record that the leak did not come from the Mosby’s team.